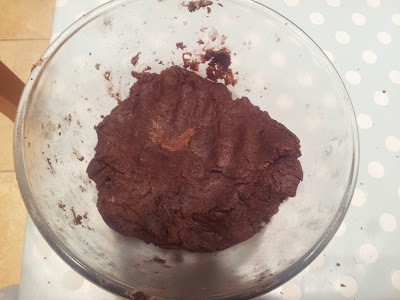 Food –who doesn’t love food? I’ve never understood those people who can only eat half a chocolate bar or say they “forgot to eat.” How do you forget to eat? I’ve hardly finished one meal when I start thinking about the next. This is why I’ll never be skinny and I’ll be content being a size 12 (ok 14 in jeans but I have big hips). 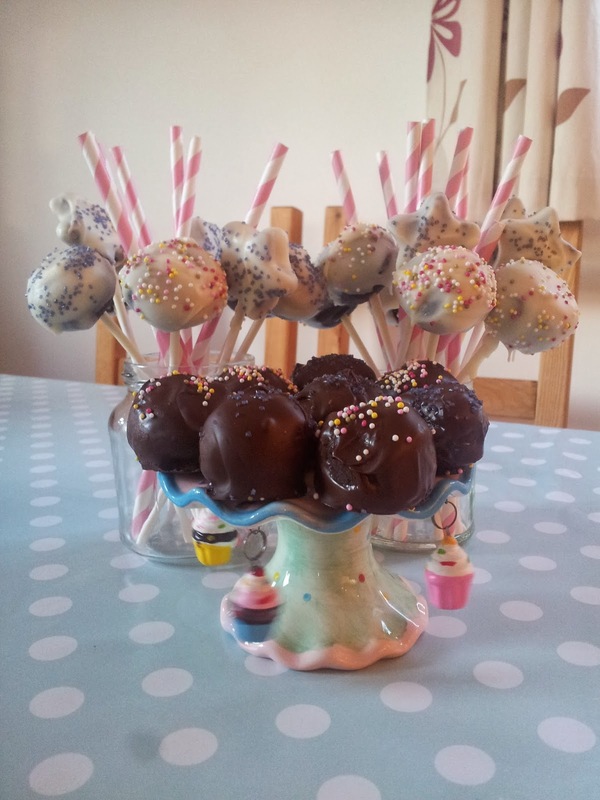 Generally I try and eat quite healthily but I need a small amount of chocolate every day just to keep me going. 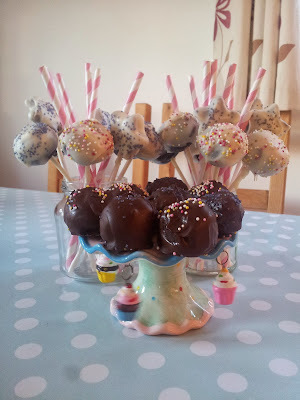 I figured seeing as the prompt for this post is food I would share a cake pop recipe I made over the weekend. I know you can buy the moulds in the shops that bake perfectly evenly formed sponge spheres but I prefer the old school and less wasteful method of using up leftover cake scraps and buttercream. 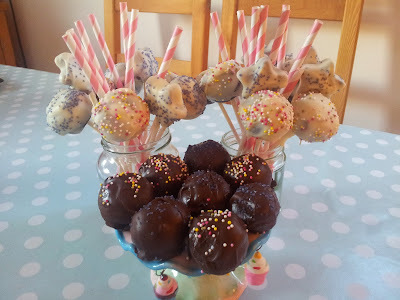 Remember a wee while ago I made these petit fours? Well I was left with some excess cake when the first batch went wrong so I blitzed it into crumbs and put it in the freezer. 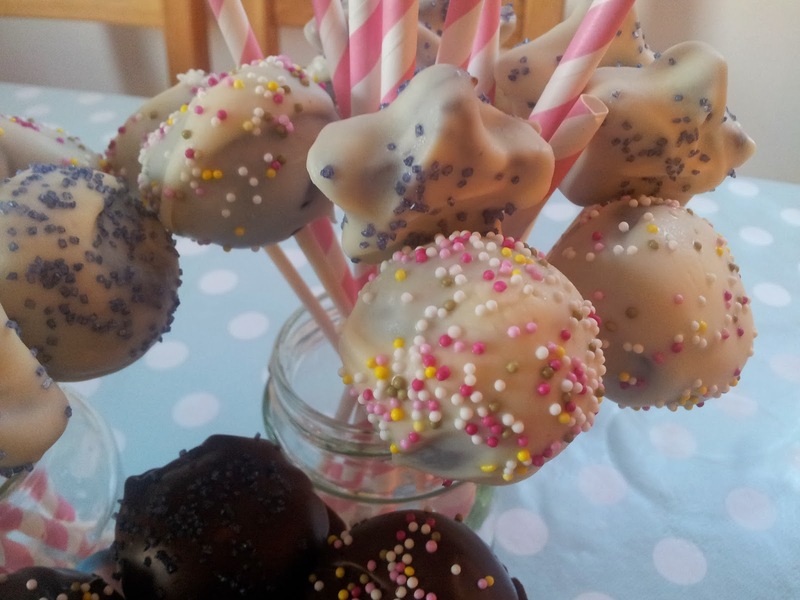 I was clearing out the freezer on Saturday when I came across the bag of cake crumbs and half a piping bag of buttercream so decided I would use them up to make cake pops. My quantities here are a guide, just use your own judgement and add the buttercream a little at a time so the mix doesn’t become too sticky. 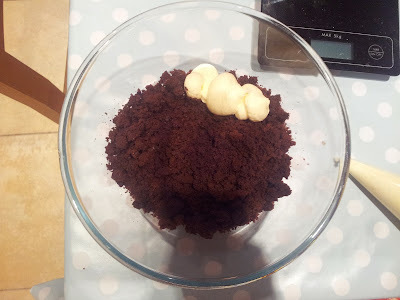 Add the buttercream to the crumbs a bit at a time until it all comes together. Roll into balls or flatten with your hands and cut out shapes. I found rolling into balls much easier than cutting the star shapes. Melt 2 or 3 squares of chocolate in the microwave in short bursts, keeping an eye on it that it doesn’t burn. 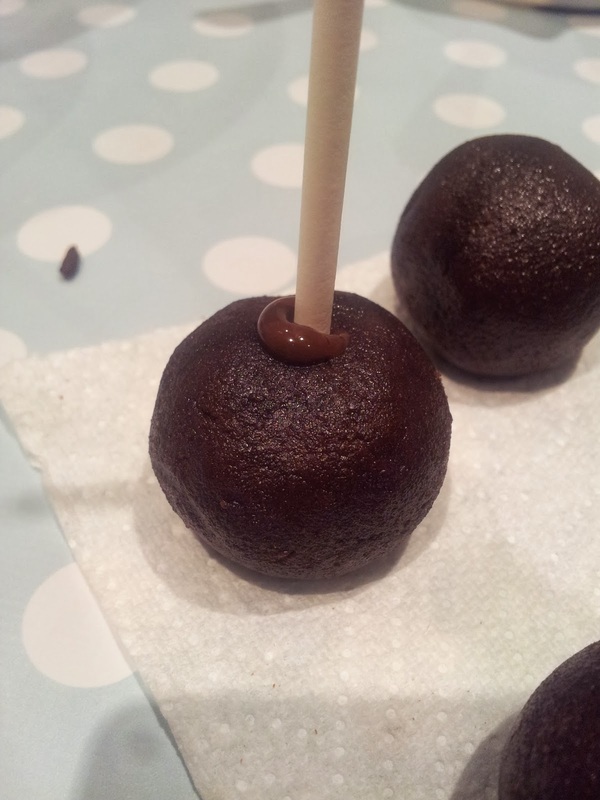 Dip the end of the stick in the chocolate and push it about halfway into the ball. 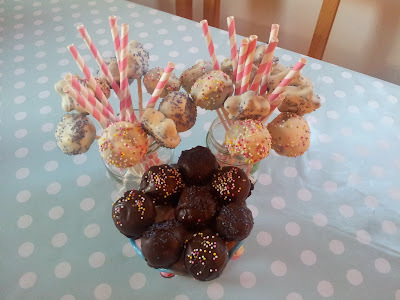 Repeat this process on all the balls/shapes and put in the fridge for a few hours or preferably overnight. Once the cake pops are firm melt the chocolate over a bowl of simmering water. Dip the cake pops in the chocolate and drop a few sprinkles on top. Place upright in a short tumbler (no idea for the proper name!) or mug until set. 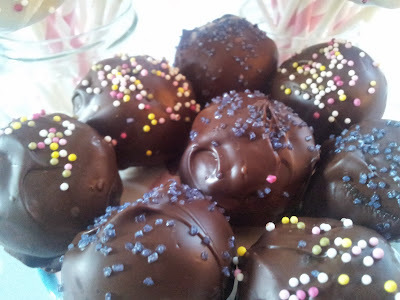 You could place in the fridge but the chocolate may bloom. Warning – eating more than one is very hard to do, these are so moreish and too easy to eat a few without realising!